Part 2: Additional Outputs Needed? Part 1: Protect Your Equipment focused on protection from transient damage with pulse isolation relays. As you’ve probably guessed from the title of this article, Part 2 will focus on how to increase the number of pulse outputs supplying identical pulse information. Many times, the end user customer or a third party other than the utility will need to have access to pulse information supplied by the electric meter. 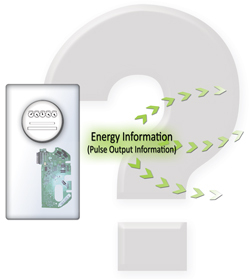 If the meter is not equipped with multiple pulse outputs, or the utility will not allow direct access to the meter’s pulse board, how do you obtain the crucial energy information that’s needed? You guessed it…Repeating Pulse Relays! When a pulse isolation relay has more than one output it is called a Repeating Pulse Relay, meaning that the original pulse received from the electric meter is repeated on multiple output channels. Sometimes these are called “pulse duplicators” or “pulse splitters”. In any case, you get the idea – one KYZ pulse channel IN from the meter, and two or more KYZ channels OUT to independent “pulse receiving” devices. What is a Pulse Output? Let’s first explain what we mean by adding multiple pulse outputs. The electric meter measures how much energy a building uses. 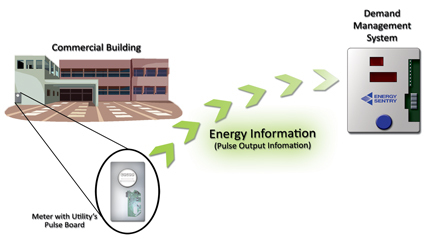 As we’ve discussed in previous articles, this energy usage information can be transferred to other devices by means of pulse metering. However, multiple devices that all need the same pulse information must each have their own isolated pulse output. (Remember: Think “Separation of Circuits”). When are Multiple Outputs Needed? How Many Outputs are Possible? Theoretically, you could have an infinite number of outputs if you had a big enough circuit board, of if you want to daisy chain repeating pulse relays. Realistically, you’ll only need 1 to 4 outputs for most situations. Solid State Instruments provides a wide range of pulse relays with up to 6 outputs and various current ratings that also double as isolation relays to provide protection from transient damage. Working with water or gas meters and need additional outputs? We have relays for that too! Water and gas meters normally have a single output. If they have an existing output, chances are that it’s already being used. That’s why we designed the RTR-2+ and DPR-4. These are high-speed Form A repeating pulse relays that provide you with two outputs, as well as protection for your monitoring and recording equipment. 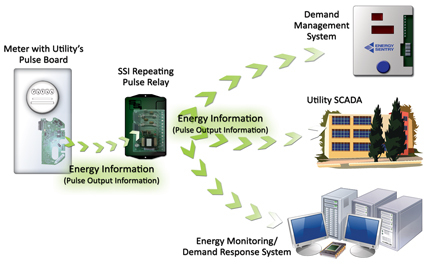 So if you come across a situation where you need a cost effective, efficient solution for adding multiple pulse outputs consider a SSI repeating pulse relay. Not only will it easily solve the issue of adding more outputs, it will also protect the expensive telemetry equipment you’re using from transient damage. Think of it as cost effective insurance with a 2 for 1 deal!